Join us on March 24th from 10am-1pm for a Spring workshop focusing on detoxification and Ayurvedic cooking! This workshop includes an Ayurvedic meal. Spring is the time to detoxify your body and prepare for the warmer weather. In this workshop you will learn the benefits of eating and cleansing seasonally to restore and rejuvenate health. 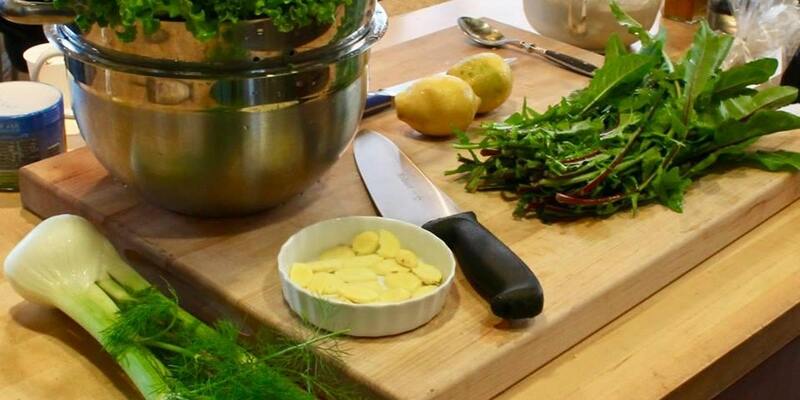 We will give you a hands- on demonstration of how to cook inspired by Ayurveda and the best spices, herbs, and vegetables to cook for the season. The goal of Ayurveda is to preserve the health of a healthy person, to prevent disease, and to promote longevity by improving the quality of life in mind, body and spirit. We will cover how to boost your immunity, lose weight, and increase your energy through the best foods and herbs. This is a vegan, gluten-free, and no sugar added meal!